If you've spent any amount of time in the geek world, then you'll unavoidably become familiar with some of cartoon's and comic's most famous Good vs Evil relationships. Many of us know the villains just as well as our heroes. Spider-Man had his Green Goblin, Batman his Joker, the Ninja Turtles their Shredder and The X-Men their Magneto. Despite the main villain holding their own in terms of characterization, a lot of times, what most people will agree on is that the reason many of these heroes have become so popular is due to their gallery of villains. Not only was there the Joker for Batman, but he also had an extremely large gallery of foes. As interesting as your heros are, a large cast of interesting, unique and different villains will bring so much more out of the hero than by themselves. Each villain should provide a new facet of challenge that will continue to round out the hero. 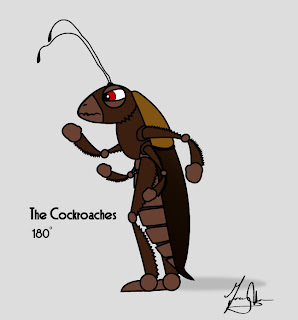 With that in mind, I've spent the last few months brainstorming and doodling ideas and potential characters just so I have a large gallery to choose from. Even if some of these are never used, its still really fun to just make up the character and backgrounds of potential bad guys. Above is a design for a band of villains that may find themselves showing up soon. Its the "bad" in our lives that sometimes enhances and reveals, often times beautifully, the "good" that we have. 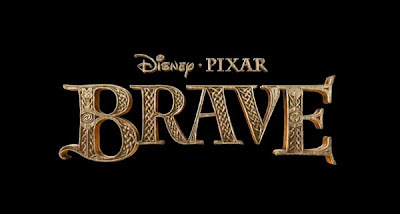 Disney and Pixar have released their new trailer for their upcoming film Brave. Check it out here.